I visited Dr. Andrus for extreme pelvic and hip pain associated with lower back problems. I initially received an injection to relieve the pain in my hip. The injection was not effective for me. Rather than receiving another injection, I elected to visit Dr. Andrus for pain management. She immediately identified the specific area in my lumbar spine causing the pain in my pelvic and hip areas. She recommended physical therapy, which included lumbar traction and various exercises for my ailing areas. What a difference this has made. My pain levels on the pain scale dropped from a constant 10 to a 2-3. What a difference. If you can love going to a doctor, I’ll have to say I love going to Dr. Andrus and OSC. 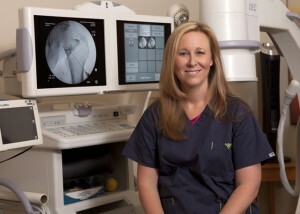 Dr. Andrus is a dedicated physician and a personality that makes you want to go back to see her. She’s the best! Dr. Andrus listens to you when you discuss your problem(s) and finds a way to make you feel comfortable for whatever your treatment plan might be. Her entire staff and the staffs at OSC (proper) and the Physical Therapy section are absolute professionals, knowledgeable, and so warm and welcoming. I believe this is a reflection of the leadership at OSC. Whatever my orthopaedic problems have been over the years, I have always had treatment success with OSC. This practice is a wonderful neighborhood/Hampton Roads gem.